After Microsoft ditched the Nokia branding for the Lumia smartphones following the acquisition of the once great Finnish company, they revealed their first smartphone christened the Lumia 535. The ‘5x5x5’ smartphone features a 5-inch screen, 5 megapixel rear camera and a 5 megapixel front caera. The IPS LCD Display is a qHD with a resolution of 540 x 960 pixels protected by Corning’s Gorilla Glass 3. Apart from the decent specs and the epic price tag, Microsoft hopes to draw in buyers with extra features such a built-in OneNote and Skype. When the device is purchased, the user would be receiving a small gift of 15GB of OneDrive Space. 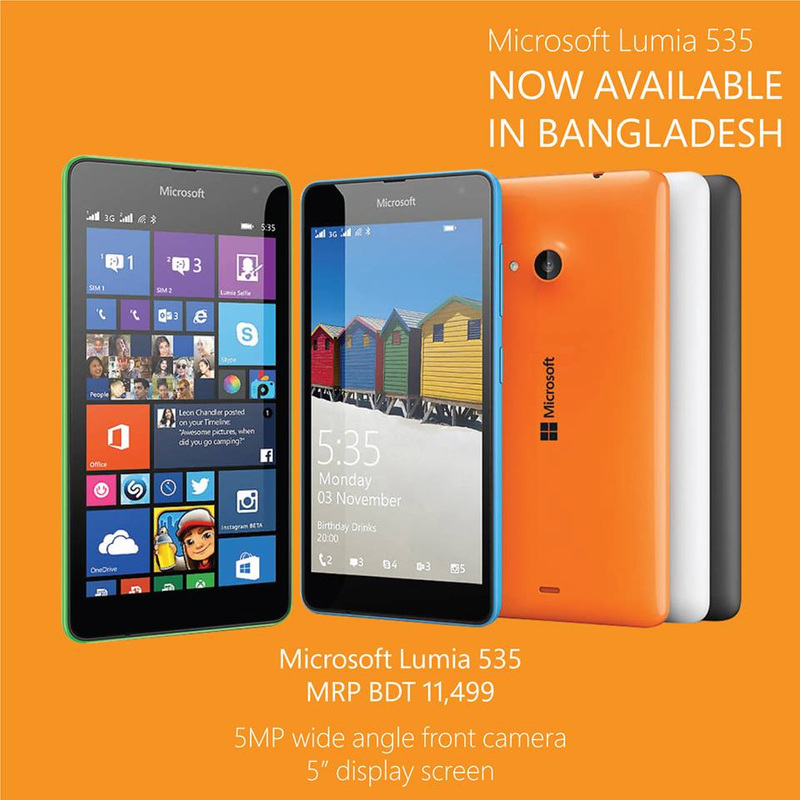 According to the picture posted by Microsoft Lumia Bangladesh, the Lumia 535 would be available in Bright Orange, Black, Bright Green, Dark Grey, White and Cyan. Have something to say? The comment box below is all yours!